Although best known as a motoring historian and journalist, Cyril Posthumus also had talent as an artist. 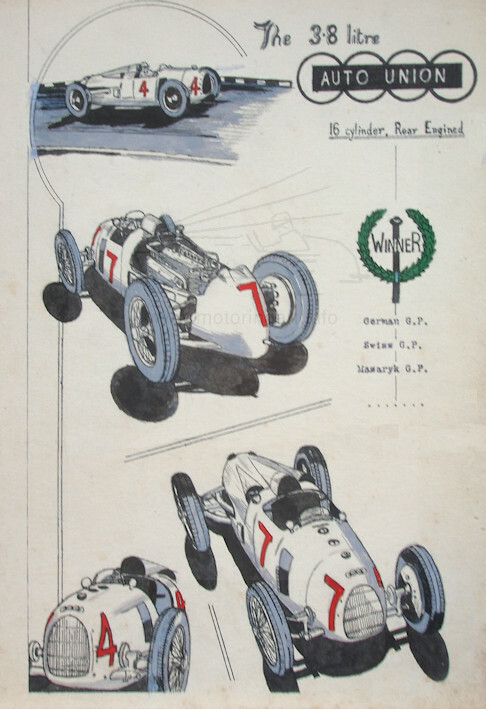 He completed several sketchbooks of cars and also drew and coloured a hand written book about the Racing Cars of 1939. Some are initialled with a superimposed CP. An obituary appeared in Vintage Sports-Car Club bulletin198 – Spring 1993.